There are many factors that contribute to making an exceptional website. A great user experience (UX) is a primary focus of our development process. Security, stability, backwards compatibility and future-proofing are also qualities our clients expect from our work. We are passionate about the little details that make websites intuitive and fun to use. Our front-end development process combines user testing with iterative refinement. 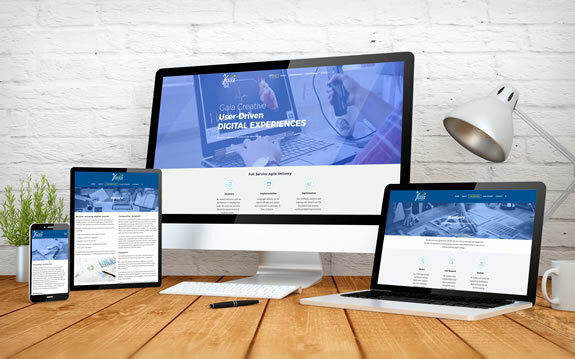 Responsive websites adapt to provide an ideal user experience regardless of screen size or device, ensuring all users have the best possible browsing experience. Every website we produce these days is responsive. Our front end developers understand ‘mobile first’ principle where optimal layouts of content and functionality are defined first for mobile screens before working up to larger devices. Our ongoing testing process includes checking the responsive layout on a wide variety of devices. We are passionate advocates of open source Content Management Systems (CMSs) regularly working with WordPress, Drupal, Expression Engine and Magento. For unique requirements we develop bespoke CMSs, primarily using PHP or .Net. Our developers understand the importance of clarity and simplicity in backend user experience. Content management should be easy to do, and where possible fun. We focus on providing an optimised workflow where backend tasks have an intuitive order, a minimum number of steps and with irrelevant details hidden. We follow an iterative and collaborative design process when developing the information architecture, wireframes, moodboards and mockups. We combine UX focused, responsive front end development with carefully optimised back end workflow to create a great experience for all users. We help organisations to refine their existing content and establish processes ensuring new content is engaging, well crafted and SEO optimised.